PATTI CAKE$ introduces Australian native Danielle Macdonald in a breakout role, as aspiring rapper Patricia Dombrowski, a.k.a. Killa P, a.k.a. 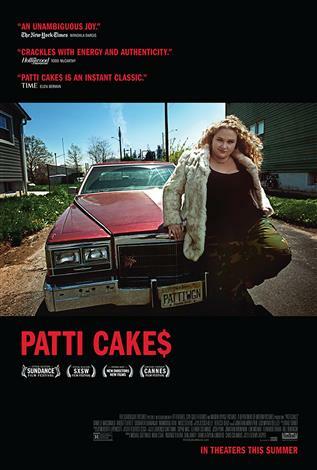 Patti Cake$. Fighting an unlikely quest for glory in her downtrodden hometown in Jersey where her life is falling apart, Patti tries to reach the big time in the hip hop scene with original and affecting music. Cheered on by her grandmother (Cathy Moriarty) and only friends, Jheri (Siddharth Dhananjay) and Basterd (Mamoudou Athie), Patti also shoulders her mother's (Bridget Everett) heartaches and misfortunes.